AF Train Master welcomes you to a web site which offers resources for those who have an interest in S Gauge toy trains, particularly those which bear the American Flyer brand manufactured either by A. C. Gilbert or, as is the case today, by Lionel. Other S Gauge manufacturers presented are American Models, Des Plaines, K-Line, and S Helper. 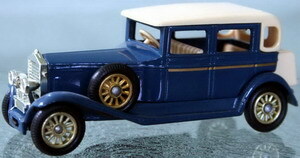 A few custom cars and items manufactured by less well known brands are also included. The primary resources on this site are images of rolling stock which are accessible by thumbnails displayed by type of car in numerical order. There are also some hints about repairing and restoring toy trains, primarily those manufactured by Gilbert in the immediate post World War Two era. scale cars scale houses scale trucks special: Gilbert HO What Size Is It? You will find some hints for repairing toy trains here. Please bear with us as we develop this web site. We welcome your suggestions. If you have images you wish for us to add to our collection, you may email them to "jim (at) aftrainmaster (dot) com," along with a statement indicating that you are the owner of the image and that you are giving us your permission to publish the image to the web. Please be advised that our standard copyright gives permission to link to our pages, but not to copy the images without permission. A note about us: John and Jim are brothers whose fascination with toy trains dates back many years. The first set of American Flyer toy trains arrived in our home during the very late 1940s, in the days of link style couplers. A Royal Blue and a 290 Pacific freight formed the nucleus of what over the years has become a wonderful hobby. If you have questions, please feel free to contact the brothers: jim (at) aftrainmaster (dot) com, and/or john (at) aftraimaster (dot) com. Thank you for visiting our site. We hope you find it enjoyable and useful!